Interesting concept. Adding to the TBR list which keeps growing faster than I can read. Love your books & we have something in common, I’m originally from Chicago & my house in Indiana is up for sale & I plant to move back to Chicago. Thanks for your generous giveaway. I am so excited to read this one! I absolutely loved the first book in the series. Sounds like a good read. Thank-you for the opportunity. Oh how I loved A Dark and Stormy Murder! 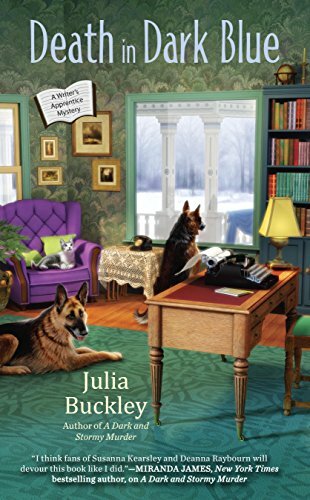 It was my pick for the best cozy mystery that I read in 2016. The book sounds very interesting, murder with the body behind your boyfriends house. Love the cover, with two dogs catches your attention. I live in Illinois not Chicago, 2 1/2-3 hours away, did move to Indiana for 2 years then moved back to Illinois. Love to read this book!